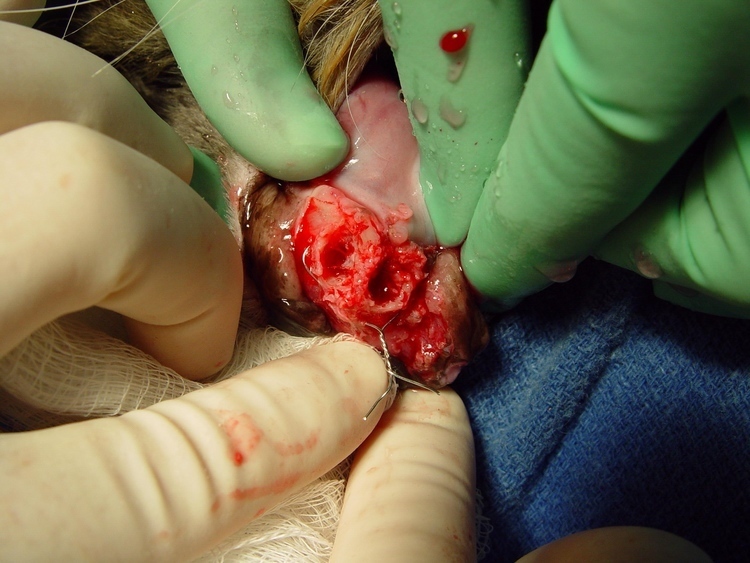 T he most common malignant tumor in cats is the Squamous Cell Carcinoma (SCC). 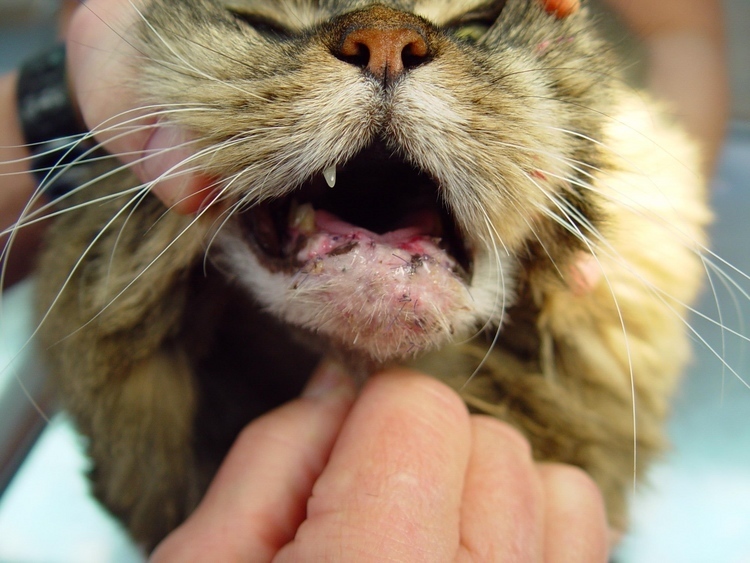 Oral cancer accounts for three percent of all cancers in cats. 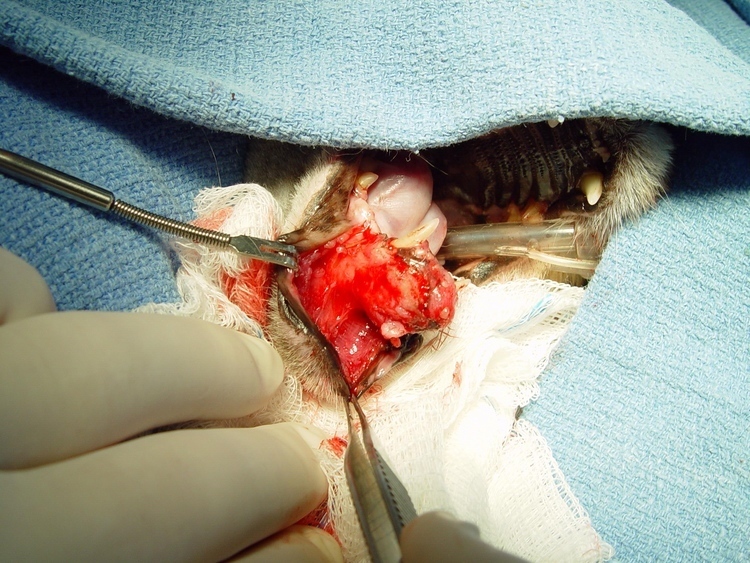 These tumors are fast growing and extremely invasive. 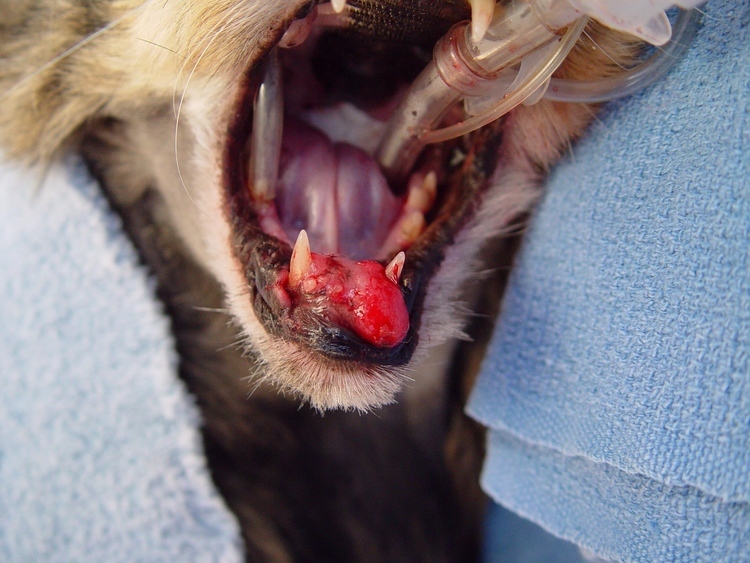 H ere is a 16year old cat that was examined for bad breath, weight loss, swollen lower jaw and bloody discharge from the mouth. 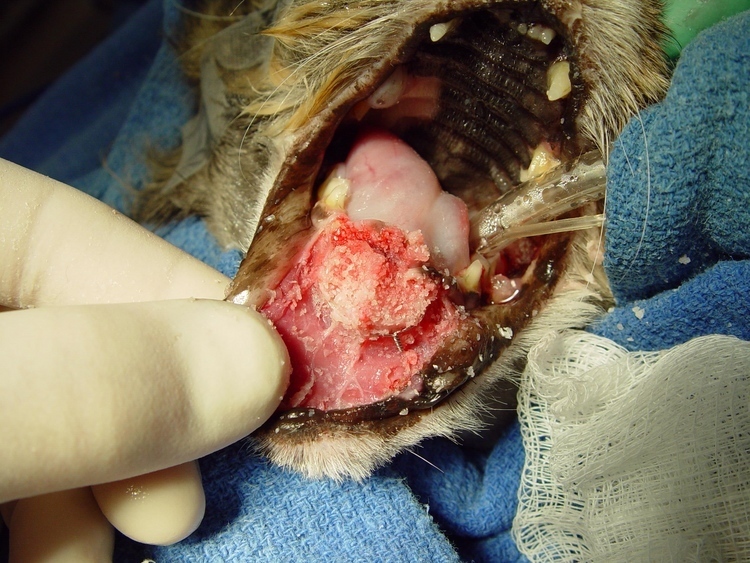 The initial exam demonstrated a large rostral mandibular mass with obvious soft tissue and bone destruction. 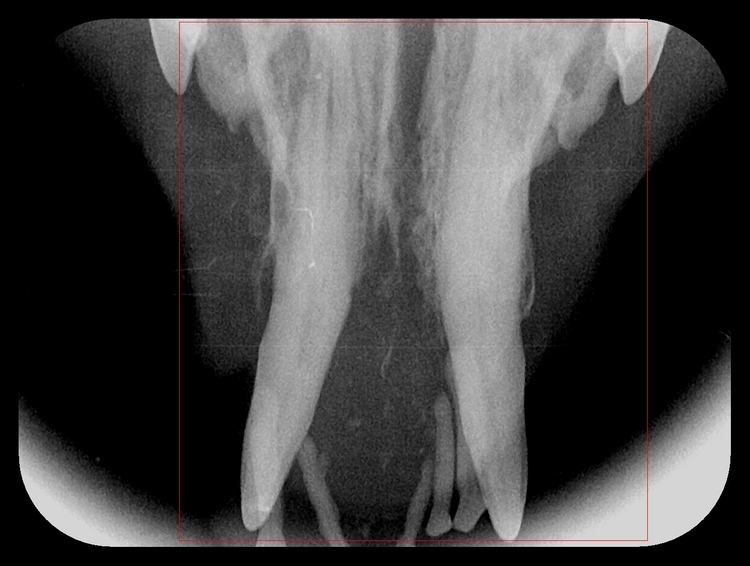 T he initial diagnosis of SCC was made. 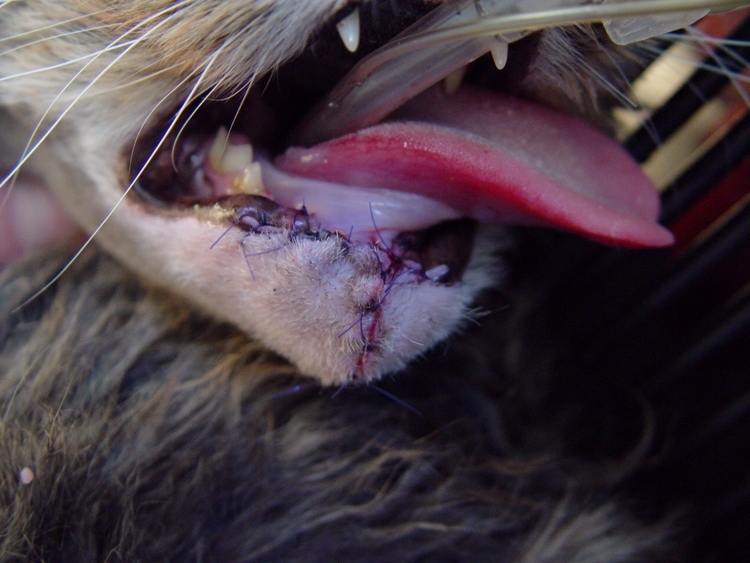 Staging, biopsy and imaging were discussed at the pre-surgical visit. 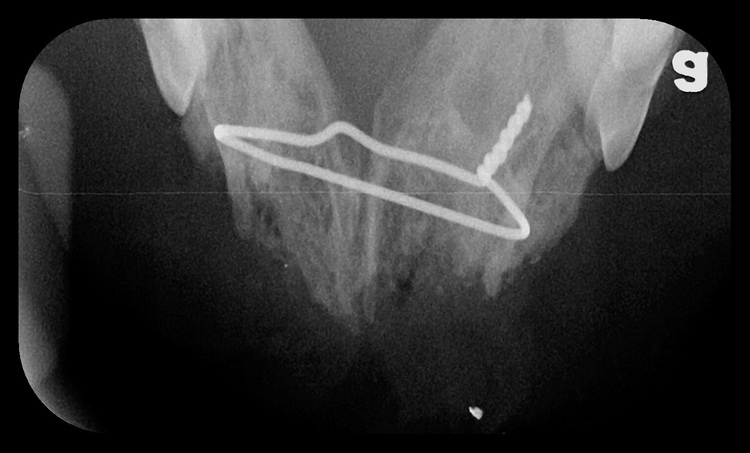 Advanced diagnostics would make the diagnosis and surgical approach more accurate. 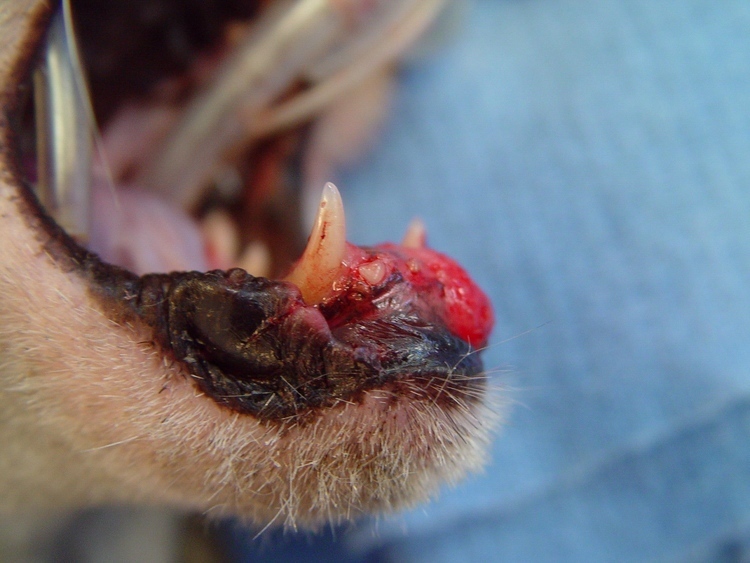 However, most owners elect routine laboratory testing and a radiographic study to map out a treatment plan.